Cultivating current responsibilities, extending and defending the core existing ministries. For example, a local church will have existing ministries relating to pastoral care, children, Sunday morning meetings, etc. Tending and nurturing emerging ideas, strategies, and processes. These are budding ministries that are not yet running at full speed. These initiatives need attention to build them up to be effective and fruitful. Some of these will become core processes in the future – especially when some of the old core ministries are fulfilled or lose their focus or relevance. For example, a local church may have begun a new small group strategy that is just starting to become effective. Planting seeds for tomorrow. Healthy organizations encourage creativity and innovation for the long term. Not all of these seeds will bring forth an abundant harvest so a variety of initiatives needs to be carried forward together. We must listen to the Holy Spirit – He knows everything about the future! For example, a local church may be praying and learning about how to send out missionaries in the future. This pattern encompasses the mature, emergent, and embryonic phases of an organization’s life cycle. The leader is responsible to see that they are all addressed effectively. If any one of them is ignored there will be problems. If the current, core responsibilities are neglected then there will be no tomorrow. But if the future horizons are neglected, sooner or later the organization will stagnate and become irrelevant. Taking care of present responsibilities (the first horizon) requires effective managers. 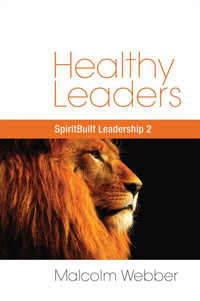 Developing emerging strategies (the second horizon) requires builders – the typical “entrepreneurs” or leader-managers who can realistically connect long-range vision with the necessary daily realities of the organization. The identification and creation of viable future opportunities (the third horizon) requires lateral thinkers and visionaries. Again, the leader is responsible to see that they are all addressed effectively – at all times. Is everyone in your organization using all gifts and skills to the fullest potential? Prayerfully consider each individual and ask God to show you how He desires the gifts and skills He has blessed each one with to be used in the work He has designated.